Any time you’re spending a good deal of money on a project, you want to be sure that you’re getting the right quality at a price that fits your budget. There are countless suppliers of natural stone, and it can be hard to know if you’re working with the right company. Here are the top eight things you should look for when choosing a company. Some suppliers shop other companies for their inventory, and others have their own mining facilities. What’s important is that they can provide you with more stones if you decide to expand a project. Nalboor Tiles, a natural stone manufacturer in Miami, Florida, has our own mines. So we know what’s coming in, and we can handle those larger orders for you. 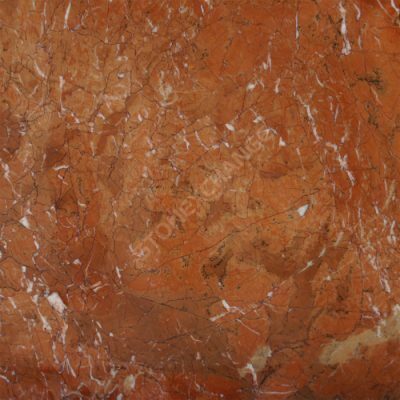 Whether you want the red shades of Rojo Alicante or you’re going to do your entire home in Bianco Dolomiti, we can provide you with all the tiles you’re going to need. If you decide to order more later, then we’ll always be standing by ready to help you. Manufacturing professionals need to pay close attention to detail in order to ensure that tiles have consistent sizes, thicknesses, and edges. We have highly trained manufacturing professionals who are committed to their craft. They take pride in delivering beautiful tiles that will fit together nicely and make your home shine. When you’re shopping around for a new marble supplier, choose one that does their own manufacturing. Nalboor Tiles is able to maintain excellent quality control standards because we oversee every aspect of the process from mining to final delivery. Going for quality tiles doesn’t have to mean that you give up on having a great selection. The right company will have beautiful tiles along with a good selection of colors. We have a range of options available, including marble, limestone, marble, engineered stones, and porcelain tiles. We can provide you with the beautiful materials you need in order to make your home shine. You deserve to have a great experience from the moment you call in to place an order until your products are sitting on your doorstep. We have highly trained customer service professionals who can answer your questions about natural stone tiles, help you choose the right finish for different areas, and provide you with measuring assistance. We’ll listen to your concerns to ensure that your order is properly filled out. We want to get it right the first time so that you can start the installation process as soon as your stones arrive. You’ll appreciate the friendly service, and you’ll benefit from our attention to detail. Once you decide on the perfect tile, you don’t want to sit and wait for weeks while a shipment moves across the globe. Look for a seller with domestic warehouses so that you can get your supplies in a timely manner. We have a massive distribution center in Florida that makes it easy for us to supply people throughout the United States and the Caribbean. We’ll make sure that you have your tiles in time so that you can start enjoying the new look. Special orders do take a little longer to allow for the manufacturing, but we’ll provide you with an accurate delivery period when you place the order. There are several different delivery options that sellers can choose for these large, heavy orders. Look for a company that uses well-known national brands so that you can save money, experience better customer service, and get your products faster. We’ve contracted with highly recognized names in the industry, and you’ll reap the benefits. Your tiles will receive the careful handling they deserve here at our warehouse and when they’re on the road. Our delivery drivers can leave them at your home address or office, or we can take them to any work site so that you won’t have to worry about the transportation later. It’s hard to make a choice based on Internet pictures. It’s really important to see the stones up against your other building materials like cabinets and walls. Some companies simply have a disclaimer that there may be color variances, but we actually have samples that you can view in the comfort of your own home. By looking at them in different lighting situations, you can determine which styles are right for your needs. Then you can place an order with confidence. In most industries, there’s one price for the public and a lower rate for contractors. Most true wholesalers won’t sell to just anyone, and some self-proclaimed wholesalers are really just middlemen who are buying a product from someone else and marking it up for resale. It’s difficult to find anyone who will offer legitimate contractor rates to the general public. This is where Nalboor Tiles really stands out. We have the low bulk rates prices that you want, and we offer them to everyone who visits. You’ll save more by going with larger quantities. Most contractors place bulk orders every few months to stock their warehouses. However, we also allow homeowners to save money. Choose one style for more areas of your property so that you can also receive the best rates. Choosing the right tile supplier is easy when you know where to look. Nalboor Tiles has the customer service you deserve along with the great prices you want and quality stones that will last. We’re looking forward to helping you, so call our warehouse today at 305-501-4548. You can also visit us online to discuss your needs and place an order.